What Makes Oakley So Special? What’s so special about Oakley Eyewear? What makes Oakley sunglasses and eyeglasses so special? I mean, besides the fact that the world’s most elite athletes all seem to be wearing Oakley. And besides the dynamic designs that seem to inspire active lifestyles. It’s nice to have athletes endorse your eyewear, and cool looks are great. But is there really a difference? Well, first of all, during the 2008 Bejing Olympics, 88 medals were awarded to athletes who relied on Oakley’s “High Definition Optics”. Hmmm. That says something. Surely these competitors weren’t just relying on their Oakleys to make a fashion statement while crossing the finish line. The real secret to Oakley’s success seems to be their passion for combining science AND art to create a perfect blend of performance and style. To understand how Oakleys became the iconic eyewear they are today, we have to take a look at Oakley’s history of innovation. It all started in scientist Jim Jannard’s garage lab. (Don’t all great company stories start in a garage?) In any case, Jannard simply wanted to make products that were better – that either worked better or looked better. Or both. His first product was a motorcycle handgrip with a unique texture for better grip, a shape that fit the rider’s hand, and a material that actually increased grip with sweat. But Jannnard’s homespun company was still struggling. Until his next innovation for motorcyclists. 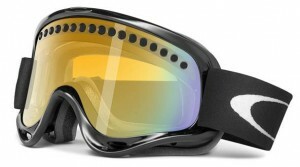 Jim created the “O Frame” goggle, with a curved lens. Motocross racing pros raved about the clarity and wide peripheral view. The goggle became a standard in MX racing and skiing for nearly 20 years. Still, in the late 70s and early 80s, Oakleys were not well known by mainstream athletes. But an up-and-coming cyclist named Greg Lemond had used Oakley goggles during his years as a freestyle skier. 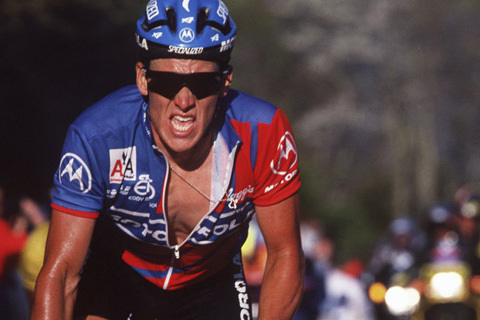 One day, he approached Oakley for a pair of sunglasses for cycling. In 1986, Lemond won the Tour de France wearing Oakley “Eyeshades” in dramatic fashion. He went on to win again in 1989 and 1990. Lemond made it cool for cyclists to wear these funky sunglasses that made a fashion statement, and is widely credited for putting Oakley on the scene as THE cool sunglass manufacturer. But Oakleys didn’t become the standard they are today on cool looks alone. What made the Eyeshades sunglasses so great was the material from Jannard’s handgrip for a more secure fit, even with perspiration, and the cylindrical “wrap” shape of the O Frame goggle, for better peripheral vision. Oakley Eyeshades transformed sunglasses from a generic necessity to vital equipment. And decades of continuous innovation have resulted in new product technologies that have been awarded more than 600 patents worldwide. From the “Blades” sunglasses with customizable designs to the “Sub Zeros” (at 0.69 oz, the lightest sunglass on earth) to – perhaps most importantly – fully 3-D CAD/CAM designed lens geometries that maintain optical clarity along the entire lens (Oakley’s High Definition Optics, or HDO). Not to mention interchangeable lens technology, radical designs like the hingeless “Over The Top” sunglasses, and “X Metal” frames with ultra-lightweight titanium alloy and compressible couplers for increased flexibility. The list of innovative eyewear goes on. 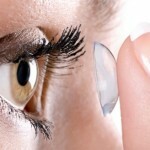 Hydrophobic lens technology that repels water and sweat. 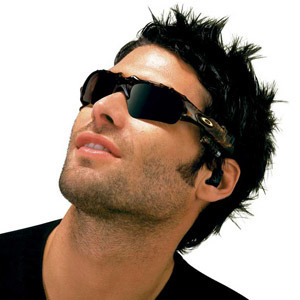 Digital audio eyewear combining performance eyewear and music. Advanced carbon fiber for incredible shatter-proof strength. Prescription eyewear tailor-made for active lifestyles. So what makes Oakleys so special? Oakleys are a true blend of innovative science and art. Yes, the world’s most elite athletes depend on Oakley. For good reason. 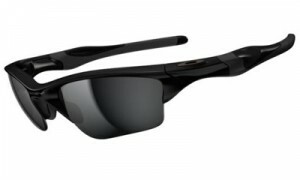 Oakley’s fit, comfort, and optical performance is truly superior to other brands. And yes, they look cool. Oakley has erased the line between function and form to create works of art that truly work. In short, what makes Oakleys so special is innovative performance AND cutting-edge designs. Frontier Eye Care believes in providing the best eyewear possible. That’s why we proudly offer high-performance Oakley sunwear, prescription sunwear, and everyday eyewear. 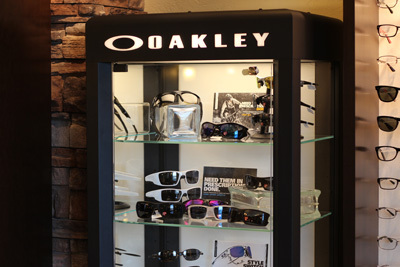 Come see how Oakley eyewear can enhance your active lifestyle and the vision demands of your day. http://frontier-eyecare.com/wp-content/uploads/2013/07/Oakley-Fastrack-sunglasses.jpg 300 300 Doug Hodgson http://frontier-eyecare.com/wp-content/uploads/2017/01/frontier-logo-for-website.png Doug Hodgson2013-07-07 10:32:492013-08-19 08:19:30What's so special about Oakley Eyewear? 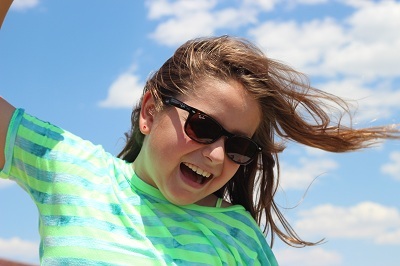 Sunglass Options: Polarized or Transitions? Call (307) 472-2020 today. Our friendly staff will find a time that works best for you! 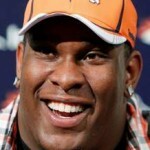 Denver Bronco gets new vision The Perfect Contact Lens?